- Canadian Code: NBCC 2015. The new instance of the American standard ASCE 7-16 has been implemented. The Disregard density parameter has been added for the equivalent lateral force method. This parameter allows you to exclude the density of the structure element (ρ=0) during the dynamic analysis of the structure. The Determine positive critical coefficients only parameter has been added for the buckling analysis. This parameter allows you to exclude the non-physical buckling shapes during the buckling analysis of the structure. The new instance of the American standard ANSI/AISC 360-16 has been implemented. Note: The former standards ANSI/AISC 360-05 and ANSI/AISC 360-10 remain available in the program, which enables the use of these codes independently. Besides, past projects that were defined with the former codes can still be used. The new instance of the Canadian standard CAN/CSA-S16-14 has been implemented. Note: The former standard CAN/CSA-S16-09 remains available in the program, which enables the use of either code independently. Besides, past projects that were defined with the former code can still be used. The new steel section database AISC 15th Edition has been added. By default, this new section database is selected. The new standard of the American code ACI 318-14 has been added to the program. New ACI 318-14 code is available in the provided reinforcement concrete modules: beams, columns, slabs, walls, and foundations (isolated and continuous footings). This standard is also available in the required reinforcement concrete modules: bars and plates. Note: This new code is not available in the RC structure node - beam/column module. Moreover, the seismic provisions are not implemented. The newest revision of the Russian code SP 63.13330.2012 released in 2016 has been implemented. 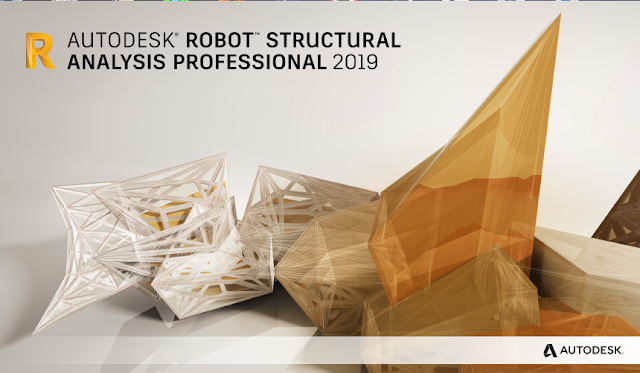 Autodesk Robot Structural Analysis Professional 2020 includes all the enhancements delivered in the 2019.1 Update. About Autodesk Robot Structural Analysis. Robot Structural Analysis Professional software provides engineers with advanced BIM-integrated analysis and design tools to understand the behavior of any structure type and verify code compliance. Robot Structural Analysis Professional structural software helps engineers more quickly perform simulation, analysis, and code-based design for any type of structure.